We design, manufacture and install Sliding Wardrobes throughout the South East. 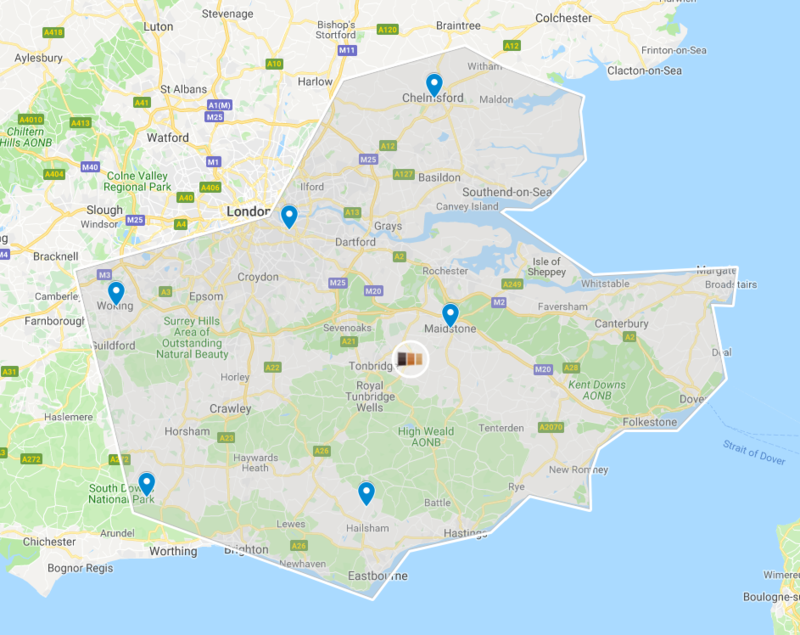 As a West Kent based sliding wardrobe company we are ideally situated to serve the whole of the south east. Our own dedicated teams maintain a high level of professionalism, quality and consistency in their work. If you are based in the south east you can certainly contact us for a quote or book a no obligation designer appointment. If you would like to visit our small showroom at our manufacturing facility then please call to arrange a convenient time. This can be at the weekend by appointment.